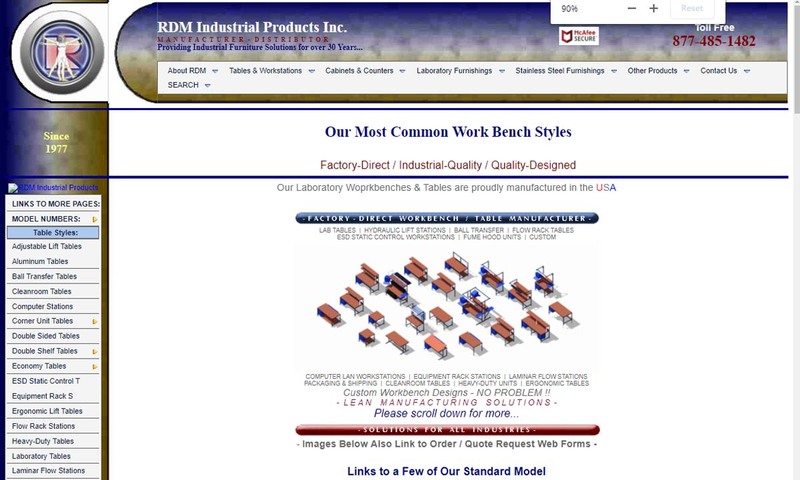 A reliable source for Work Station Manufacturers information and a resource for accessing leading Work Station Manufacturers and suppliers. A workstation is a convenient surface for workers to put together components, perform repairs, and conduct other important functions of their job. Often, distributors and manufacturers alike often talk about workstations and workbenches as if they were the exact same thing. In fact, in this article, we will also be using both terms. Work Stations A workstation is a convenient surface for workers to put together components, perform repairs, and conduct other important functions of their job. BOSTONtec is a multi-functional workstation supplier with easy product usage. 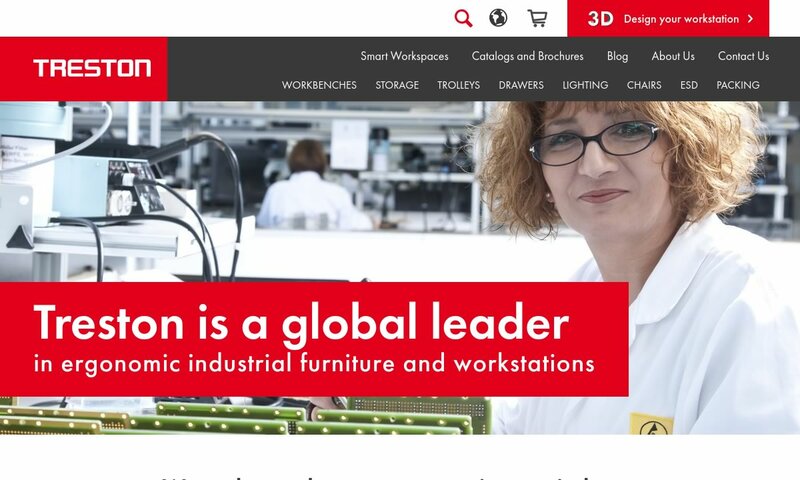 As workstation suppliers, BOSTONtec supplies durable and efficient workstations for many industries, with products including CPU holders, ergonomic workstations, and more. Depending on the setting in which they are employed, workstations serve a number of different applications. Some of their general applications, though, include: making things more organized and accessible, reducing worker stress, providing adequate work surfaces in offices and factory settings, and helping avoid injuries. 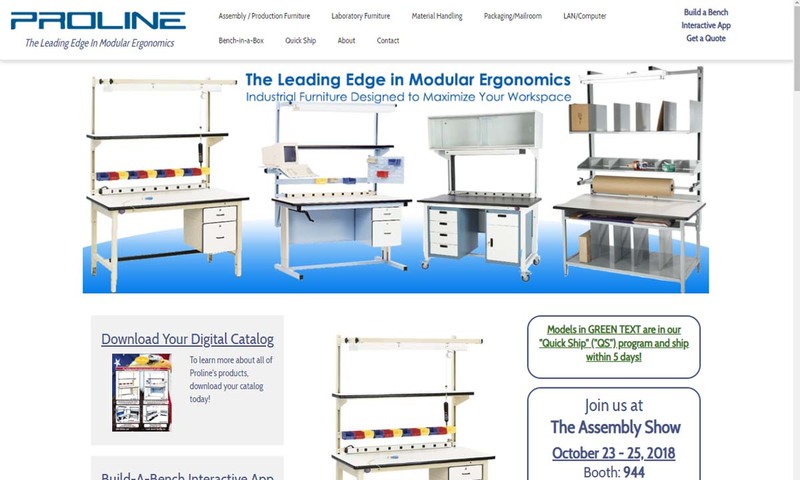 Because they offer such broad applications and are so widely helpful, workstations are popular for use in many industries, some of the most common among them including: industrial manufacturing, shipping and packaging, office, IT, education, clean room research, medical and lab, engineering and drafting, software development, automotive and food service. Workstations and workbenches are based on the concept of a table, so it’s not easy to pin down exactly when they came into use. What we do know is humans were using that, at the latest, by 50 A.D. At that time, the Romans were using thin, simply constructed, low to the ground workbenches. Workers usually sat down to use them. We do not hear anything significant of workbenches again until the 17th and 18th centuries, when the French designed the aptly named “French workbench”. The French workbench did not use screws or welding, but rather held pieces in place with stops. Before the Industrial Revolution, workstations were used mostly for woodworking, food prep and other artisan crafts. After the Industrial Revolution, they began to adapt for manufacturing and machines. Since the 20th centuries, workstations have become more than tables. Often desk-like, modern workstations are created ergonomically for worker convenience. A packaging table is a unit that gives workers a place to prepare packages for shipment or distribution without having to lift of push heavy objects. Also known as a packing table, the packaging table features components and accessories designed to increase workflow speed and efficiency, while maintaining safety. A modular workstation has interlocking components that can easily be arranged and rearranged as needed. 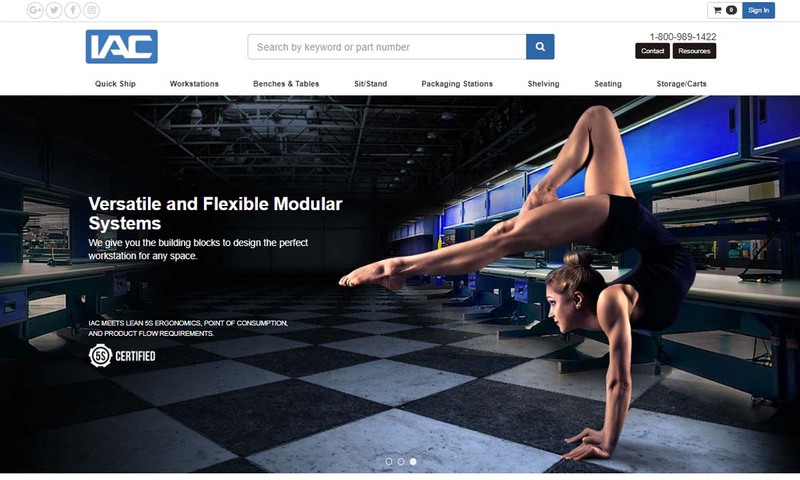 The focus of modular workstations is convenience. Thus, modular workstations are typically built with adjustable shelving, bins and whatever other features it takes to organize the work space. Of all the workstation types modular workstations are most often used as cubicles, because of the way they can be arranged to fit into any space. Mobile workstations, or mobile workbenches, are equipped with wheels so that users can move roll them across the room or through the building. They also include braking mechanisms for safety and convenience. Other than these features, they can be designed with just as much complexity as any stationary workstation. An industrial workbench is a sturdy table used in industrial settings, such as product manufacturing and repair. Its goal is to create an efficient and safe environment for workers as they go about their duties. Industrial work stations often feature adjustable shelves and drawers, where they store tools and supplies. Because they are designed for heavy duty work, they’re usually made with a steel or stainless steel welded frame. A heavy-duty workbench is tough and durable. It is used for applications that require a table of its caliber. Like the industrial workbench, it can be designed to hold tools and equipment. In fact, heavy duty benches often serve as the “bench” component of industrial workstations. 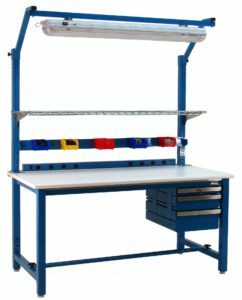 Heavy duty workbenches are popular for use in settings including: metal fabrication plants, commercial workspaces, woodworking stores, machine shops, welding plants and auto repair shops. Because they are so durable, users can put objects weighing thousands of pounds on top of them without worrying about them bending or breaking. Lab workbenches are work tables used inside laboratories. There they serve as surfaces for a wide range of applications, including: lab equipment storage, chemical testing, biological testing and student workstations. 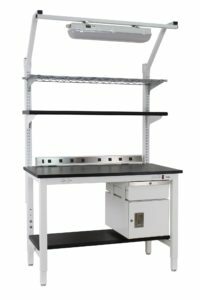 Because they may come in contact with volatile chemicals and/or moisture, lab workbench tops are usually made from an inert material. They also usually feature components including gas valves, fume hoods and stainless steel sinks. The term “computer workbenches” refers broadly to those workstations made to accommodate computers, computer equipment and computer accessories. These workbenches are found in the home, as PC and laptop workstations, and in the office. A command operating center is like a computer workbench, but more complex. Found in information technology fields, command operating centers are built to hold items such as: computer and electronic equipment, keyboards, processors and display monitors. Their goal is to make all of this equipment readily accessible. Workstations consist of a work table and various helpful components, such as drawers and shelves (freestanding, bottom, adjustable top or pull out). In offices or industrial complexes that use computers, workstations are equipped with CPU holders to keep the computers in place and safely out of the way. Other common workstation components include: overhead lighting, under shelf lighting, electrical outlets/power strips, surge protectors, locks, shelf reels, handles, locking casters, footrests, privacy panels, keyboard trays and powered back guards. Workstations offer their users many benefits. First, by lifting things up to waist level, workbenches help to avoid injuries caused by strain and make regular tasks more comfortable. Likewise, they help a worker adapt the environment to his or her physical needs, rather than having to adapt to the limits of the environment. They’re also high versatile and can be modified for virtually any application. Using a workbench is pretty straightforward. You sit in front of them and work on your computer; you store things in their drawers; you place machines on top of them and use said machines. Of course, because every workstation is different, they’ll all have different details of use. For example, to adjust the height of a height adjustable workstation, you have to turn a hand crank. Some you may move, others you may not. It all depends on your design. Workbench manufacturers construct workstations using partial welding, full welding or modular assembly. When the goal is strength, they will choose partial or full welding. For added precision, they can use laser welding technology. For less heavy-duty applications, modular, on-site assembly works best. Workbenches for industrial workplaces are usually made of steel or another metal because they must be durable and strong. They almost always have a steel frame. Very small or light-duty ones, though, can be made from a heavy-duty plastic instead. Depending on the application, manufacturers can use a wide variety of workbench top materials, such as: HDPE, stainless steel, edge-grained maple, composite resinwood, epoxy resin, PVC-edged laminate, self-edged laminate, electrostatic dissipative (ESD) laminate and chemical resistant laminate. 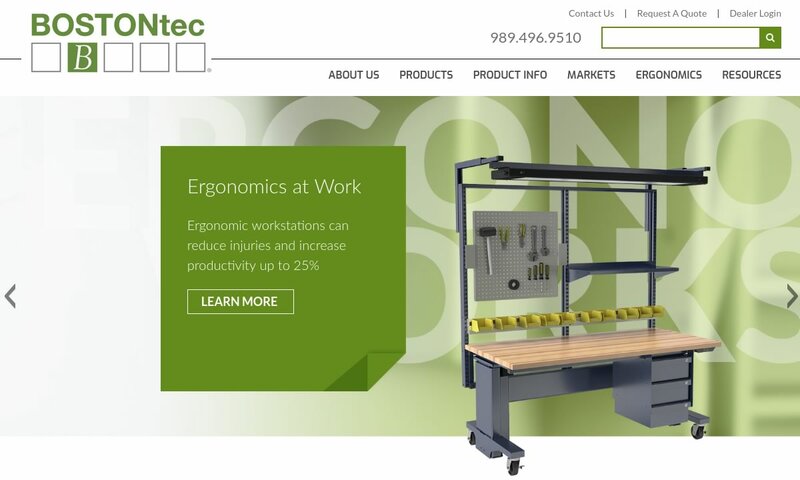 No matter your application, your supplier will design your custom workstation for ergonomics, as their goal is always to reduce stress and boost productivity. Aside from that, manufacturers choose how to customize your workstation based on your application needs and requirements. For example, they can modify height with adjustable workbenches to meet the needs of employees with any height adjustment requirements. In many cases, the height of not only the workbenches but also desks, chairs and drawers or cabinets can be altered to suit the user. Manufacturers can even design your workbench to fit in a corner. In addition, manufacturers can produce workstations in virtually any size. To strengthen and protect your workbench, they may also add paint or a sealant coating. To avoid accidents or inadequate support, it’s very important that you pay attention to safety and compliance standards. For example, if you plan on using heavy amounts of electricity, you may want to make sure that your outlets are IEC or NEC certified. If you plan on using your workbench in food prep or a medical setting, the surface material should be FDA certified and antimicrobial. For military parts assembly or testing, your workstations need to meet Mil-Specs. Also, in general, since your goal is always worker comfort and safety, your workstations should be OSHA certified. For more specific advice, talk it over with your workstation supplier. Before you set out to purchase a workstation, you need to know the details of your application. Ask yourself questions such as: What load capacity do I require? Do I need a special surface? (If you are working with chemicals, food or medical instruments, the answer is probably yes.) What are the dimensions of the space in which I would like to place my workstation? What is my budget? When do I need my workstation? Is my workstation for sitting, standing or both? Does my workstation need to be mobile? Once you’ve compiled all the answers to your questions, you’re ready to shop around. 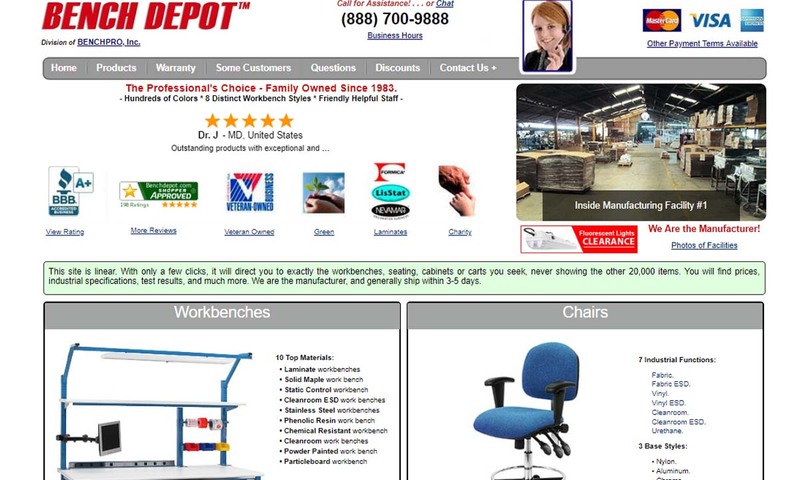 When it comes to workstation purchasing, you have available to you a vast array of options. While we all love options, there comes a point when we reach information overload, and we simply don’t know what to decide. Plus, with so many options out there, how do you know which ones are quality? To help you narrow down your choices, we’ve provided you with a list of several workstation companies that are proven leaders in the field. Each of these companies has something unique to offer customers.  To find out which one has the right combination of products, workstation services and price points for you, start by checking out all of their profiles. Then, pick three or four companies with whom you’d like to speak directly. Reach out to each of them, and talk over your specifications with one of their representatives. After you’ve done that, compare and contrast their quotes. From among them, choose the one you think fits your needs best, and get started. It’s as easy as that. Happy hunting!